In December 2012, Sombath Somphone was following his wife home for dinner in Vientiane, the capital of Laos, driving in a separate car. On Thadeua Road, he was pulled over by traffic police. That was the last time his wife or anyone else saw him. 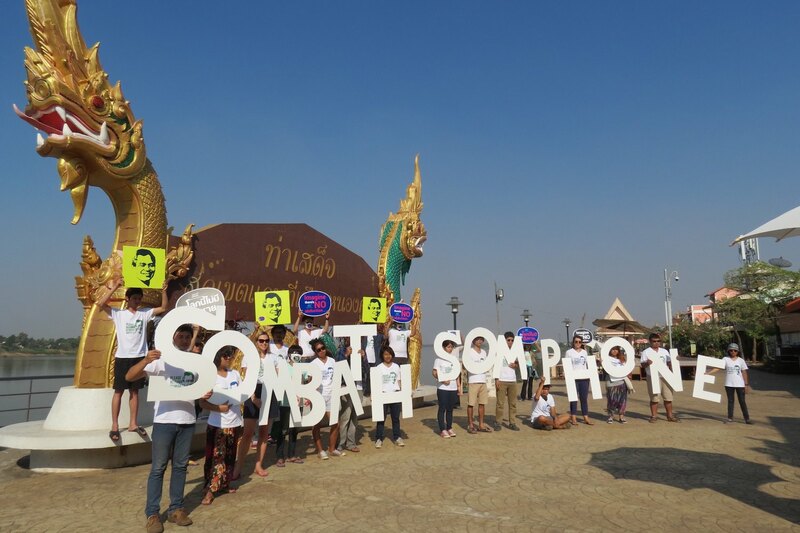 While numerous foreign governments, global leaders, parliamentarians and civil society organisations have inquired about Sombath’s whereabouts—to no avail—the land rights of Laos’s rural poor and indigenous communities that Sombath championed remain under the radar. Large multinational corporations are swooping into Laos and other “underdeveloped” countries to acquire the land—or the rights to the resources that the land holds—from the local, regional and national governments. In many countries, the land’s potential has great value for large-scale agriculture or mining operations, for the timber in the rainforests that have grown there for hundreds of years, and governments are practically giving away this potential in the name of economic development. When the west talks about happiness it’s individual sensory happiness, it’s only one sense at a time but if you have two or three senses together…wow…you feel really high (laughs). But here actually, you know, like we said earlier, it’s just doing mundane things…but sharing them with other people and being satisfied with them. If you get greedy you have to continue to be greedier and greedier to be happy–it never ends. 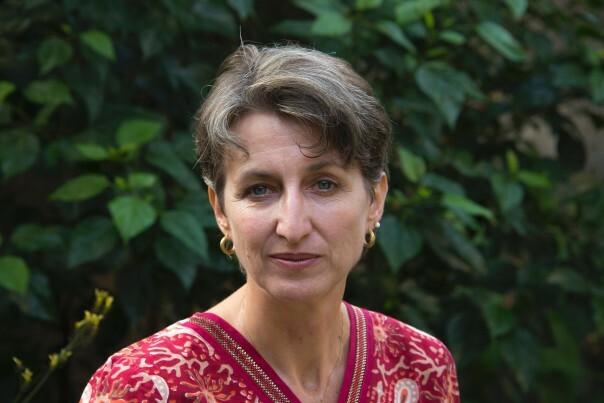 Education and development in an ecological, holistic manner are interconnected, both are inter-dependent and supportive of each other. Of course, at the base of the model is good governance, which promotes justice and fairness for everyone through the rule of law. 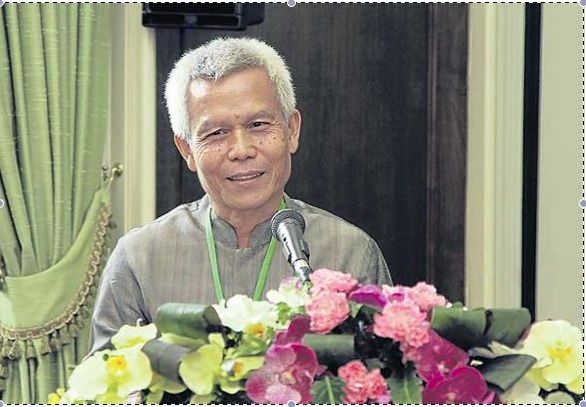 Sombath Somphone, in “Teaching Happiness,” interview in the Bangkok Post, 24 August 2012. "We only have one planet." We are now consuming more than 150% of what the planet can regenerate. That means we are now consuming one and a half planets. How can that be sustainable, and what will we leave to the next generation? We only have one planet. The policy seems to be let’s get what we can now and let our children clean up the act later! When they gathered for the second annual session of the National Assembly last December, Laotian lawmakers may have had a reason to feel buoyant. The communist-ruled country appeared on the verge of gaining international respectability. The preceding months had seen this impoverished nation shed some of its image as a diplomatic backwater in the region. The remake came in stages. In July, Hillary Clinton flew into Vientiane, becoming the first US Secretary of State to visit the landlocked country in 57 years. Then, in October, the World Trade Organisation approved Laos’ application to join the WTO, signalling that this agrarian nation had joined the world of international commerce. And finally, in November, Laos hosted its most important international gathering, the Asia-Europe Meeting (Asem), which drew world leaders from Asia and Europe. But by the time the 12-day session of the country’s parliament drew to a close in December, the assembly had traded open buoyancy for secrecy, raising questions about the prospect of a liberal political culture taking root. Nothing was more deafening to some community leaders than the assembly’s decision to silence one of the rare new avenues of openness – a hotline for the public to call the 132-member parliament. Sombath has been missing for 114 days, but his words, his ideas and his inspiration are still with us. What are we developing for? We develop because we want happiness, but we see happiness as material things. We develop to reach our material goals but actually that is not true happiness. We do not deny the economy is important but it has to be balanced. The economy, society, environment and the human spirit… these four factors have to be balanced, and then we will find happiness. Click this link to watch the ‘Happy Laos’ video at Youtube.